Alaska Territory, the 1920s. Jack and Mabel, a childless couple in their early 40s, have fled their native Pennsylvania after the loss of their newborn child. 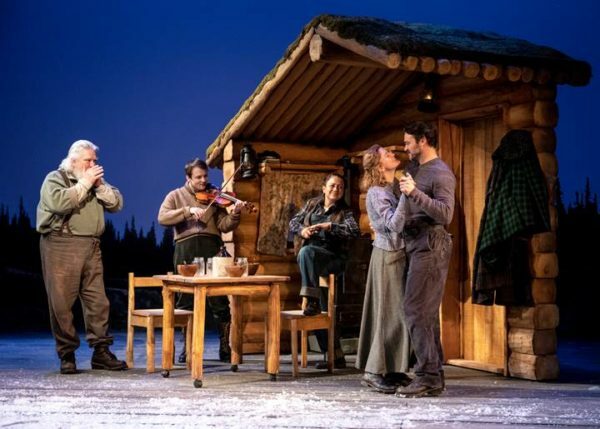 They managed to get through their first Alaska winter as homesteaders, but their faltering marriage may not survive a second. When Mabel encounters a mysterious young girl who travels through the forest with a fox, she wants to believe it is the snowman she made, come to life. Jack refuses to believe her — until the girl appears to him, too. Is the child real, or a spirit of the dark winter woods around them? The presence of the child restores and transforms them all — until, with the arrival of spring, Mabel has to face the prospect of losing a child for the second time. 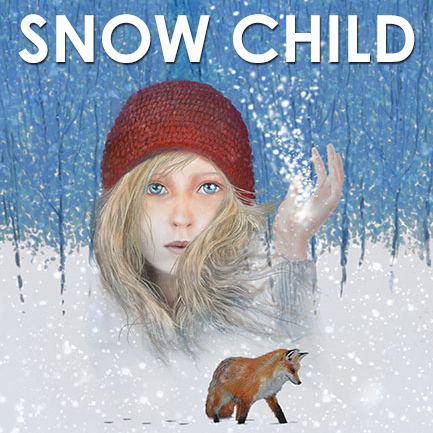 Snow Child is a musical about discovering love in unexpected places, overcoming loss, and trusting in the miraculous resilience of the human spirit. 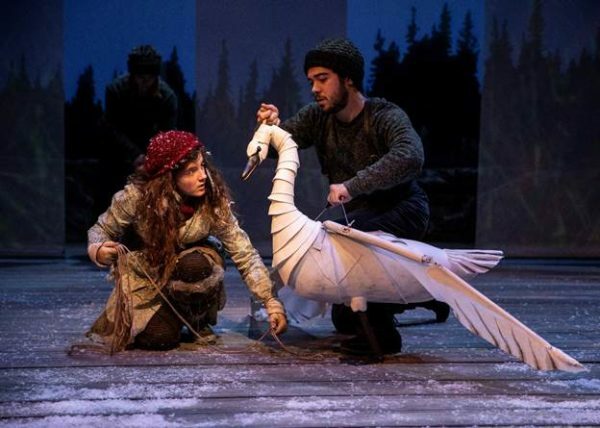 Snow Child is based on a centuries-old Slavic folktale: a childless couple builds a small snowman and it comes magically to life, the child they always longed for. But the Snow Child comes with its own dangers and revelations. Taking a folktale and setting it in contemporary reality — the Alaska Territory in the 1920s — allows us to investigate some of the universal themes present here: the cycle of seasons with their echoes of death and rebirth; the struggle to survive in a wilderness that is often violent and unforgiving; the power of hope; the resilience of the human spirit; and the courage it takes to believe in something that cannot be explained logically but is passed down to us in story and song. The setting of our tale draws us to the American pioneering urge, the homesteader alone against the elements, sometimes compelled — perhaps hopelessly — to try to tame what is better left wild. Alaska is what led the Snow Child creative team toward bluegrass, that deeply American music that is rooted in the land. Bluegrass is the musical language we use to get to the truth of this story, although the shared compositional goal between the two co-composers has been to take the best stylistic and harmonic elements of bluegrass music and combine them with the best narrative and storytelling elements of contemporary musical theater. 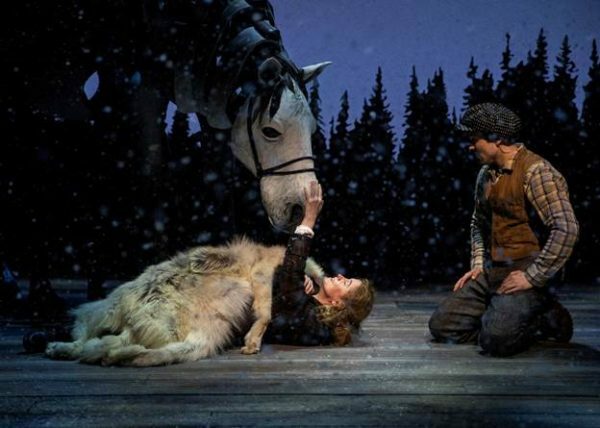 In the resulting sound is the hybrid score of Snow Child. At the heart of our narrative is a courageous woman who battles back from despair and an attempt to take her own life. She discovers within her a strength of spirit to rival the tall forests and towering mountains of this magnificent land. It is the mysterious Snow Child who shows her the way.